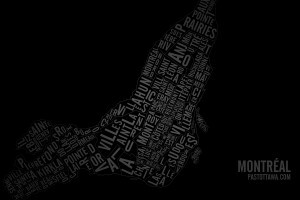 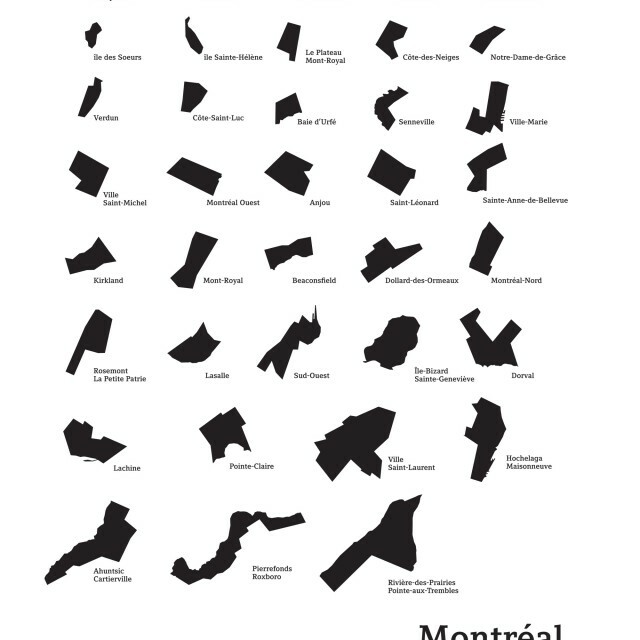 This poster lists in an encyclopedic fashion the different neighbourhoods, districts and cities located on the island of Montreal. 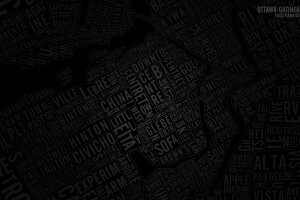 Ordered according to their size, the entities forming the Montreal Island are represented in their most simple expression: their boundaries. 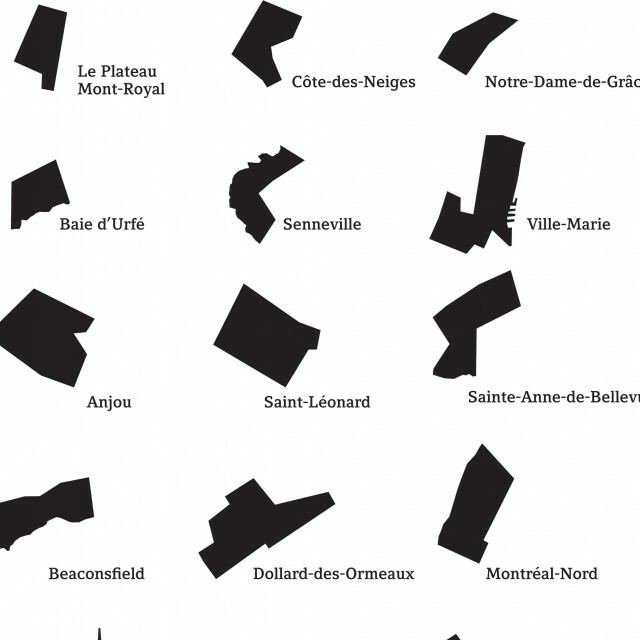 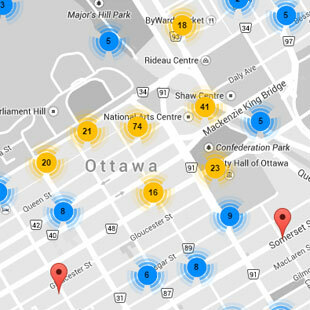 You will be able to find: Hampstead, Côte-des-Neige, Notre-Dame-de-Grâce, Baie d'Urfé and many more. 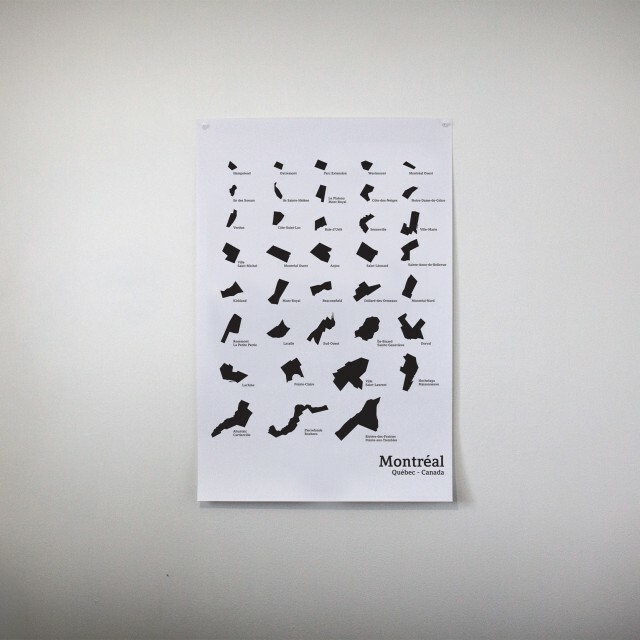 The posters are manually silkscreened which gives them a unique touch and a high-quality finish. 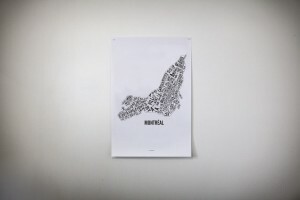 Available in 31 cm x 41 cm (12" x 16") only.